Ant-Man is not just small. He can shift sizes between both extremes, but armed with his ant-controlling helmet, he is most effective as a miniscule man. 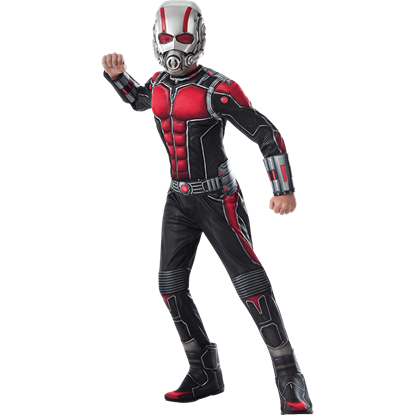 Often associating with the Avengers, Ant-Man has his own devoted fan following, revitalized in 2015 with his titular Marvel Cinematic Universe film. At Superheroes Direct, fans old and new can find Ant-Man collectibles and apparel to suit any taste. 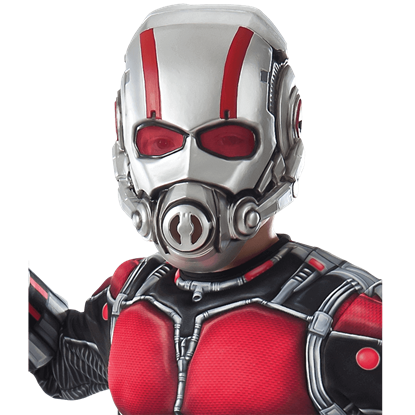 We offer costumes for both adults and children looking to emulate Ant-Man for a day. 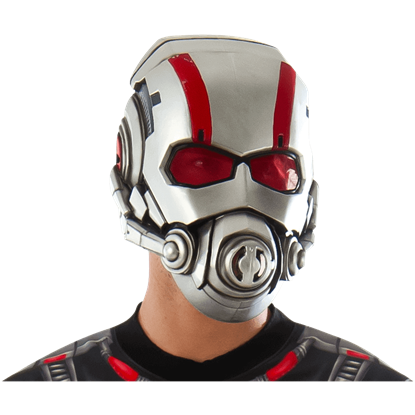 Busts and t-shirts feature the classic Ant-Man look for fans of older iterations, while we also have a selection of apparel, accessories, home decor, POP figures, and more depicting his newer look. 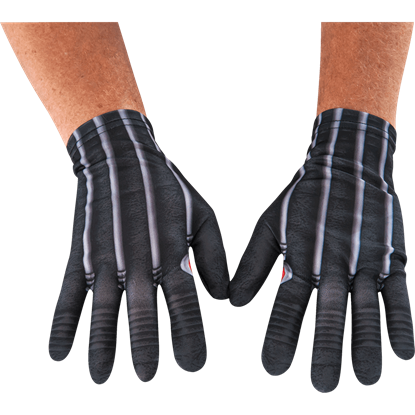 There is something for every Ant-Man collector at Superheroes Direct. Your child will be able to get up to all sort of antics when dressed up as this unique Marvel superhero! 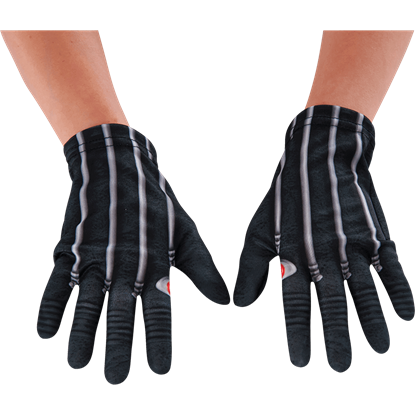 Inspired by the Ant-Man movie, the Childs Ant-Man Gloves go perfectly with the iconic red, black, and silver suit. By studying subatomic particles, Hank Pym discovered a way to increase his height, leading him to change his heroic title from Ant-man to Giant-Man. 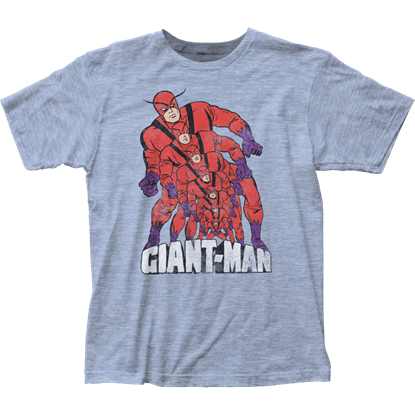 Marvel fans may observe his transition in size on the Giant-Man Growing T-Shirt. Scott Lang becomes the pint-sized superhero Ant-Man when he uses the powered suit developed by Hank Pym. 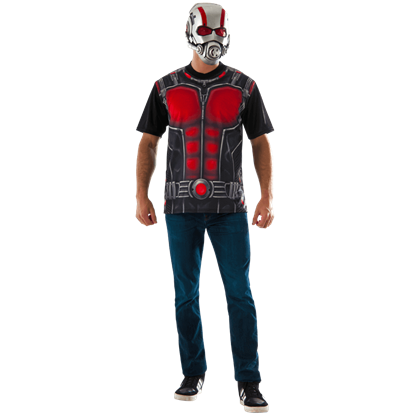 Now your child can wear this Kids Ant-Man Costume Top and Mask and reenact scenes from the movies or dress up on Halloween. Electronics expert Scott Lang becomes the Ant-Man, using the technology developed by Hank Pym to change his size yet retain full size human strength. 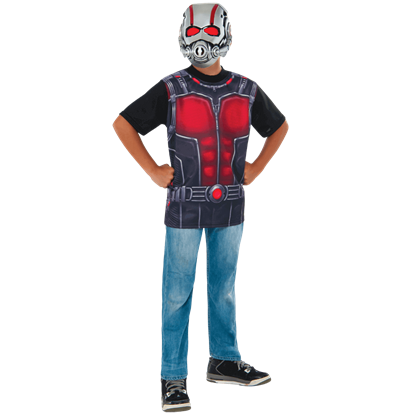 Now your child can dress up as this pint-sized Avenger with this Kids Ant-Man Mask. You will be able to get up to all sort of antics when dressed up as this unique Marvel superhero! 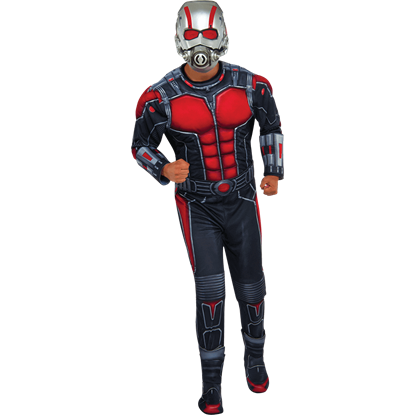 Inspired by the Ant-Man movie, the Mens Deluxe Ant-Man Costume shows off the iconic red, black, and silver armored suit.